We are emerging from a troubling decade of bamboozlement and skullduggery. The technology and dotcom bubbles have burst, the fanciful forecasts have collapsed and many of the false prophets have been caught in the harsh light of publicity. In this chapter from his new book, Just in Time Technology, Jamie McKenzie suggests 10 Traits of Effective Learning Products to help schools avoid bamboozlement. 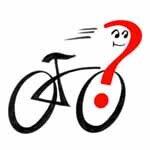 In this article, McKenzie combines and summarizes much of his thinking and writing about the power of questions and questioning. You can now purchase Jamie McKenzie's four books about smart use of new technologies for just $60 - a 25% savings off the list price of $80 for the collection. Go to FNO Press store. 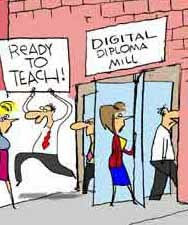 Online teacher preparation? Where's the scientific evidence to justify the Department of Ed's investment in virtual teacher prep?